The numbers are staggering. 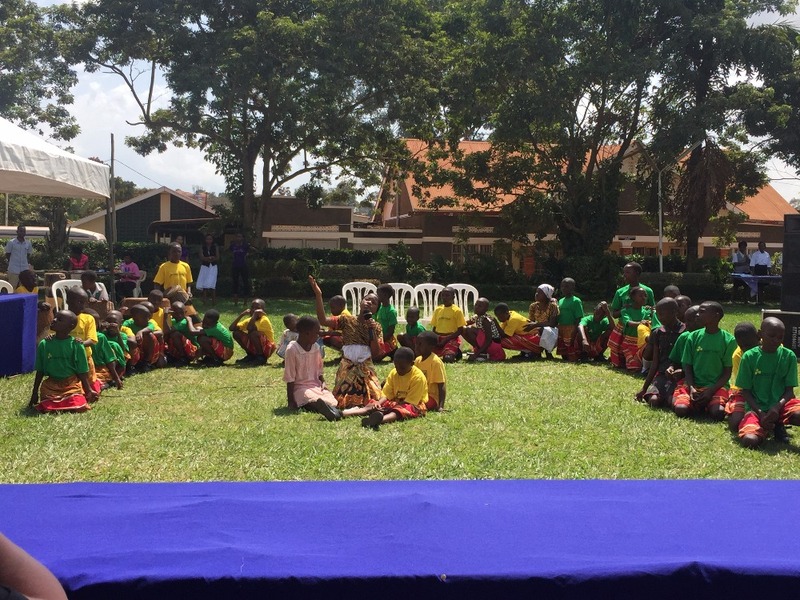 Of the 32 million orphans in sub-Sahara Africa, 11 million are orphans affected by AIDS. Children are our most vulnerable population - period. Yet add to that poverty and lack of family support, and these children have very little to protect them from harm. I'm passionate about that, about seeing the vulnerable ones of humanity having the same access to opportunity and protection as everyone else. We can all participate one way or another. For me, I get to join the Cyclebreakers Ride for Hope team in June 2017! 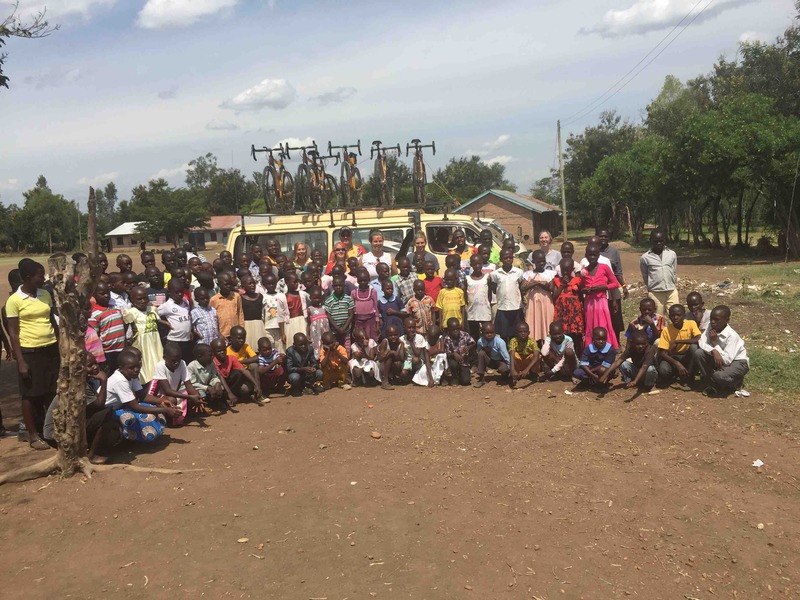 A global team of 25 riders will be biking 600 miles around Lake Victoria in East Africa to support these children that are served through Christ's Hope International. It's going to be quite an adventure of a lifetime! Our goal is to raise $300,000 as a team, and my individual goal is $12,000. 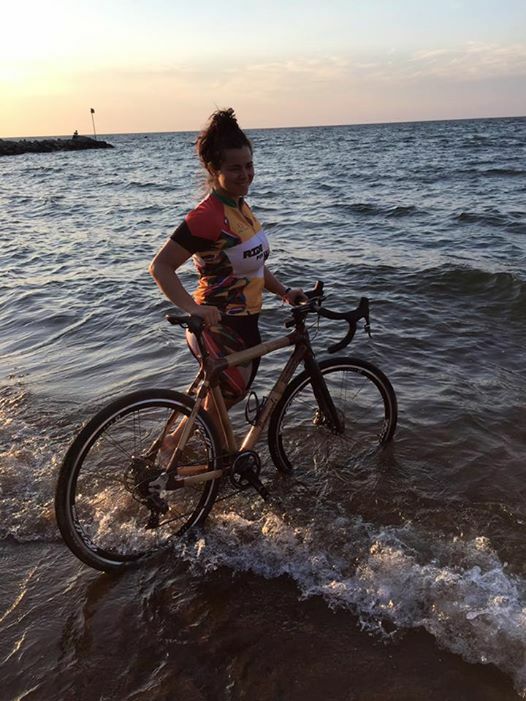 Please take a moment to consider sponsoring me for the ride! If you need any more inspiration about the cause, read below. It's all super exciting! 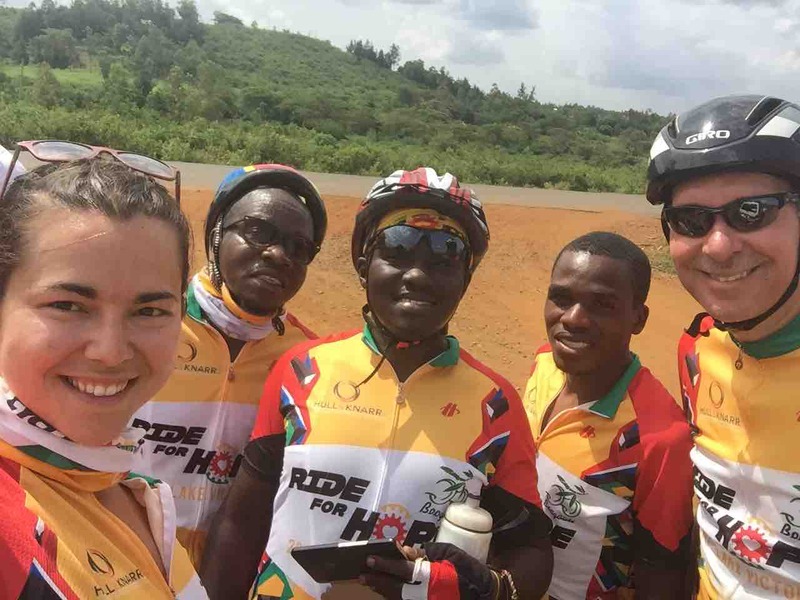 Our Ride for Hope will be traveling halfway around Lake Victoria in support of the children served at the CareCenters. 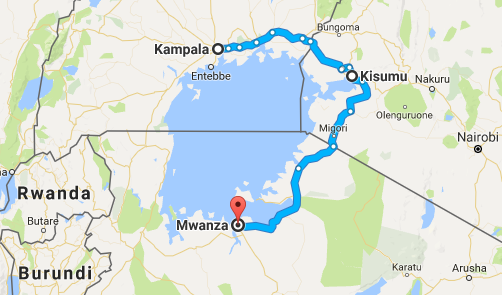 We'll start in Kampala, Uganda, work our way down to Kisumu, Kenya, and then finally end in Mwanza, Tanzania. Along the way we will be stopping at the local CareCenters to visit the children and the staff. They are just as excited about this event as we are and are planning big welcome activites for everyone! I am looking forward to meeting all the staff and the children. The trek itself will be 600 miles! It's a beast of a ride, but will be well worth the views. 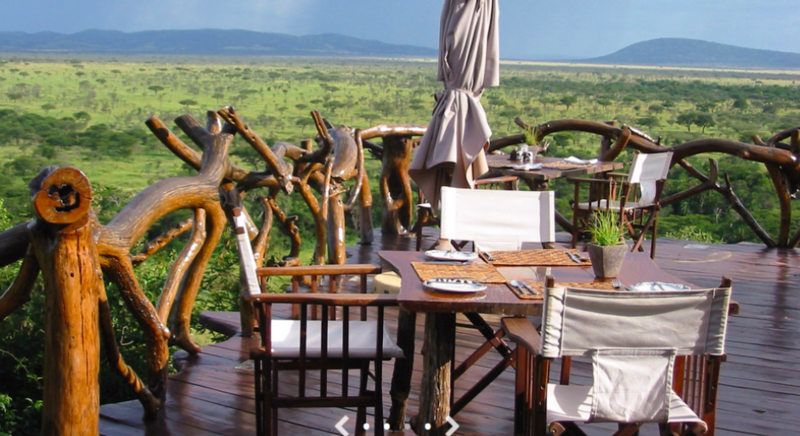 We'll be cycling near the Serengeti National Park and will have a rest day to do a safari! Oh, and the BEST part?? 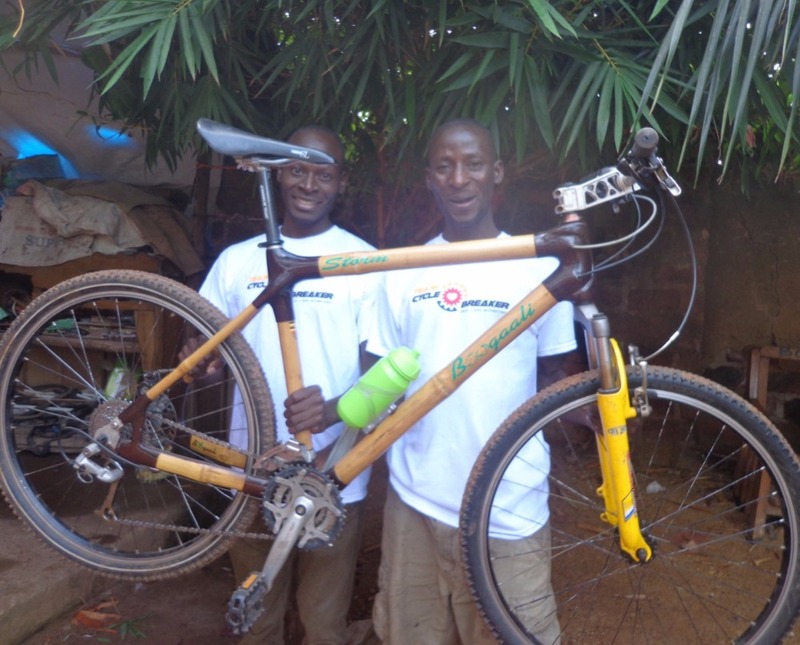 A local Tanzanian bike-making company is hand-crafting our bikes from bamboo, and we'll each have a custom, state-of-the-art bike for the trek. How amazing is that?!? Christ’s Hope International focuses on ministering to orphaned and vulnerable children through their Ministry CarePoint model. Each Ministry CarePoint provides holistic care for children, equipping them with tools they need to break the cycle of AIDS and poverty. I love this model because they do not use institutional orphanages that are often detrimental to emotional health; they instead place the children in homes of family members. Through physical, educational, emotional and spiritual care, they strengthen these families and reduce incidences of children being institutionalized, abandoned or trafficked. By sharing the life-changing message of Jesus Christ, we can break this cycle and bring HOPE to the future. Thank you for all your support and encouragement on this adventure and cause. If you have any questions please let me know. All donations go to Christ's Hope International, a registered 501(c)(3) non-profit organization and are tax-deductible. 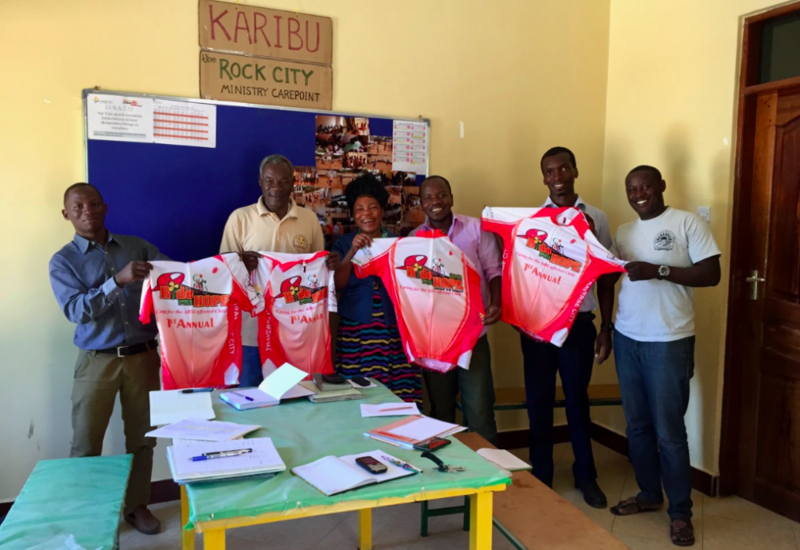 During the last day of the Ride for Hope, we visited several CarePoint centers in Mwanza. Mwanza was such a beautiful city situated literally in the middle of rocky mountains in view of Lake Victoria. 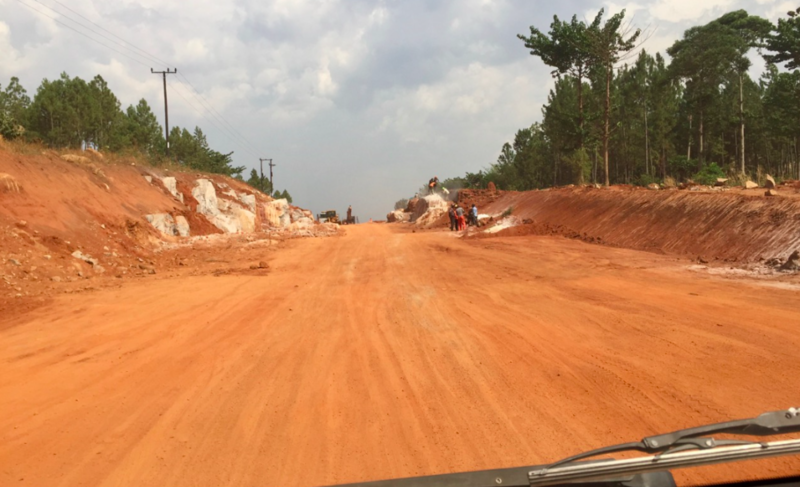 Our vans climbed one such mountain over the bumpy roads (which our driver affectionately called the African Super Highway where we were able to experience free African massage-- deep tissue!). We arrived at the first center that overlooked a stunning view of the lake. We ran around with the 100 kids there just singing, dancing and playing games. That's where I met Esther, the first girl pictured. She had excellent English, and I came to find out that she's 16, loves Math, and passionately told me how her dream to be study medicine in America to become a doctor, and come back to Tanzania to help sick people. I couldn't get over her confidence and pride. She also talked about how much she loves God and what he has done for her. I almost couldn't find words to express a response-- it was so powerful. She then prayed for me in the middle of the courtyard, for the ride and for all the children impacted by the work. Getting to experience the faith of a child is one of the most intimate moments I've ever had. I found out that she, like I, enjoyed singing. After she sang a song for me, I had to record it. The video is so precious, her closing her eyes and singing, "Our God is an awesome God he reigns from heaven above with wisdom power and love, our God is an awesome God." Moments like those are frozen in my mind forever. 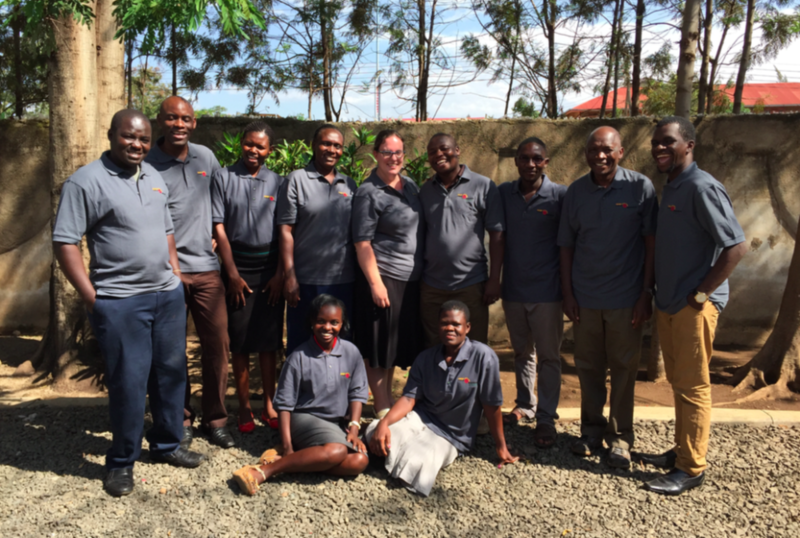 Our team then headed to Rock City, another CarePoint center. I came to find out Rock City is literally a slum that is covered a side of a rocky mountain. The CHI center is situated right in the middle. Here I had a chance to do home visits in the area. 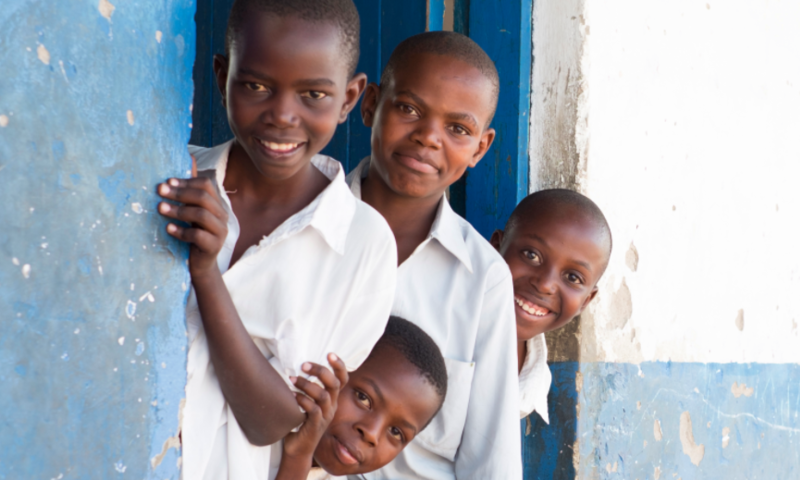 CareCenters will recruit children within walking distance based off certain criteria (vulnerability, size of family, orphaned, AIDS-affected, health issues, etc). One particular home we went into was a very small stone house on the side of mountain, so small only 4-5 of us could fit into it. The woman there had 7 children I believe, and a set of twins were being cared for by CHI. The men in this mother's life had each left her, often with another child to care for. The whole family would sleep on the bed behind the curtain next to us. She was very gracious to us, and we learned that for work she would buy vegetables at wholesale and go house to house trying to sell them. There were days when she couldn't sell enough and would have no meals for the family. We prayed for her, encouraged her, and sang Amazing Grace over her space. God is doing a work there, no matter how difficult it seems. Back at the center, we played with the children, and one precious little girl, Anastazia, came over to play balloons with me and hold my hand. She must've not been older than 5, and I went to pick her up. That's when I noticed how little and thin she was. I never held a child before where I was afraid I would break or hurt her. She sat on my hip and my hand could hold so much of her waist and I felt her ribs. But she was a JOY! And she obviously had so much inner strength and resilience. I was able to get her on my shoulders, and we pranced around the court yard for a long time, and had fun ramming into some people since we were strong women! As you can see, her smile is infectious! 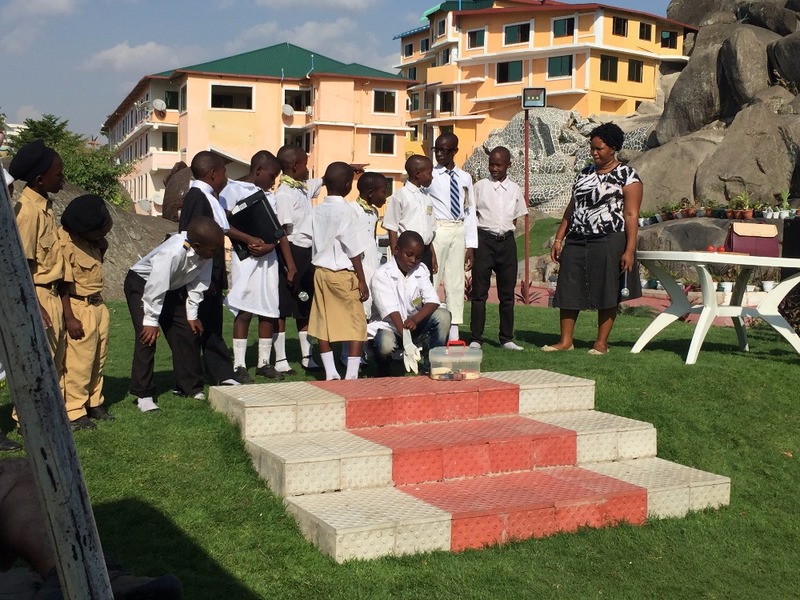 In the evening we attended a special event put on by the staff and children at CHI Mwanza, and it was perfect! Beautiful location on the lake, inspiring performances by the children, and hilarious games that we got to participate in. I have to say that during this Ride for Hope I've never felt so pure in my life. Or so present. It was like the past and future disappeared, and I was 100% there with the ride, the children, the team, and myself. And God. It was so good. 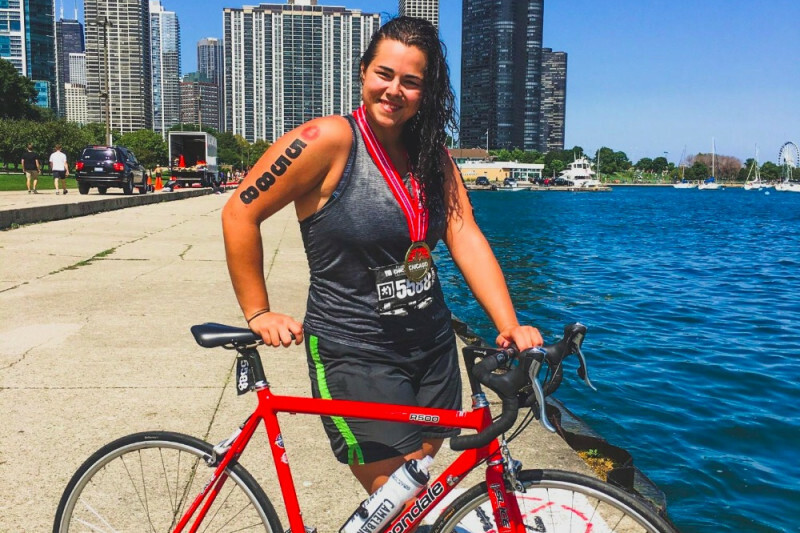 I can attest, every single dollar given for the Ride is *literally* changing lives. 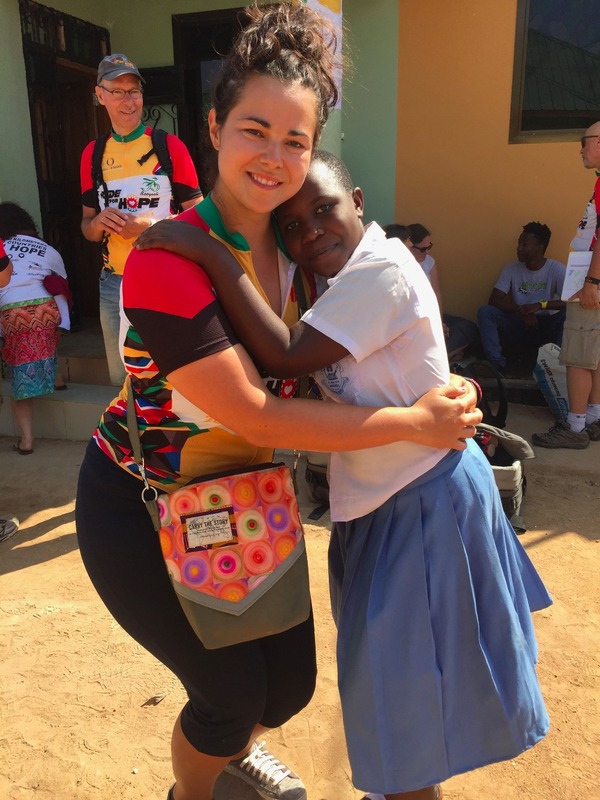 There's something entirely meaningful to a child who has been abandoned, orphaned, forgotten or neglected to see 25 riders show up from all around the world representing 100's of others who believe that each child is that valuable and worthy and precious. It speaks volumes and they will never forget it. We're still matching donations until the end of June, so if you haven't gotten a chance to give, or would like to invest more, get dollar you give will be doubled. And so will your impact. And so will your joy! Thank you again for all your support! but just remember--- WE MADE IT!!!! God made a way, yes indeed he did. 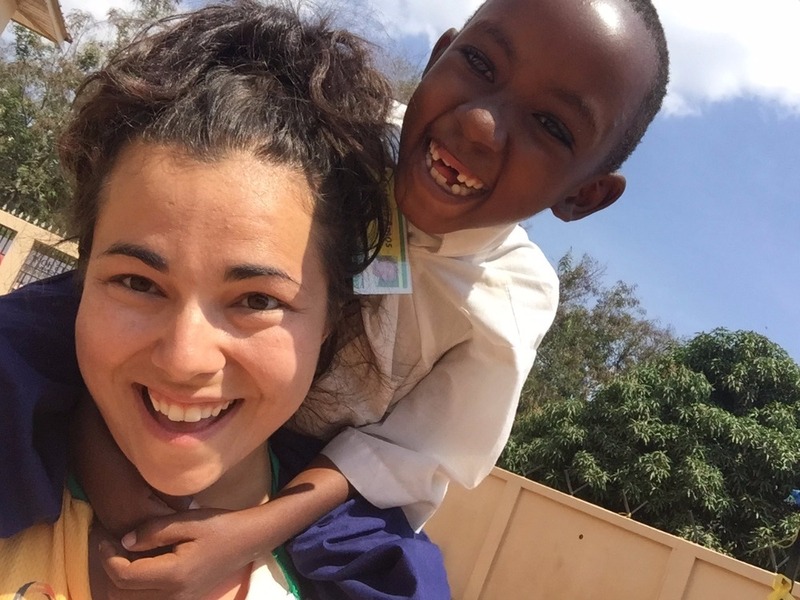 I have several more stories that I'd like to share from our time in Mwanza, but for now, I just want to say THANK YOU for all your support and encouragement along this journey! It's been a ride to remember. So this will be a combined update, since time has been full and wifi not always accessible. 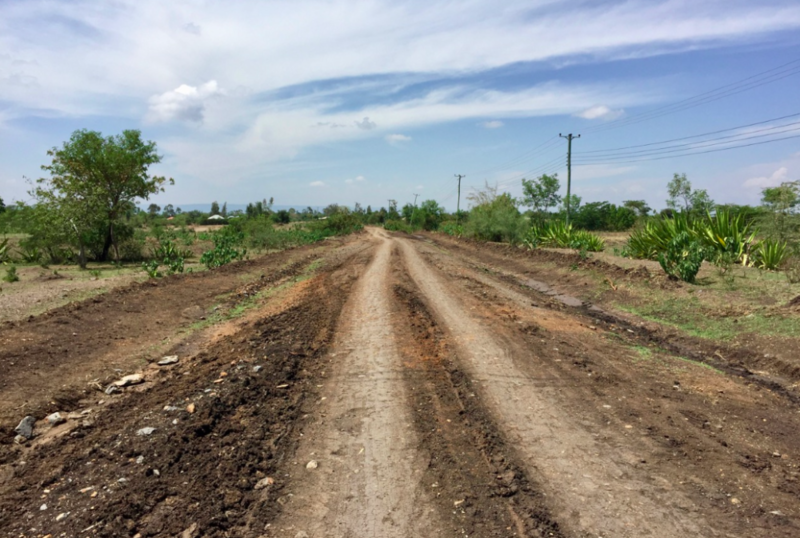 After leaving Uganda, we biked our biggest day-- 66 miles through Kenya! I knew it would be difficult, but, as with life, if I had known about the mountains ahead I never would've went forward But, I made it. Wow, I made it! It was so difficult and definitely the biggest mental, emotional and physical challenge of my life. But I kept remembering a few things. First, I'm doing it for the children, for ones like Benjamin who I met in Kisumu who is not in school and has herpes and AIDS. I met him during a house visit the previous day. 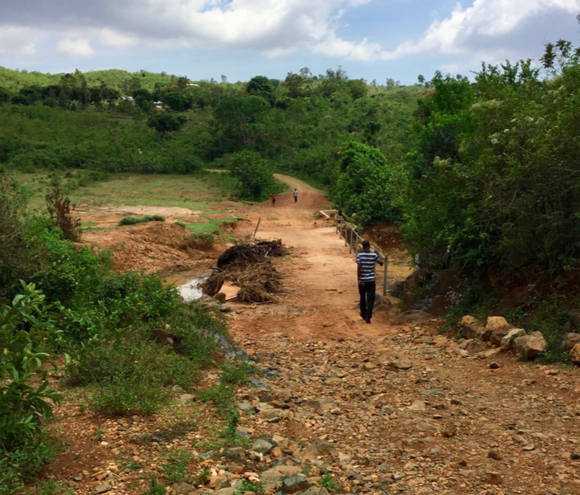 CHI has a program that they visit homes of those who have AIDS, and provide care (medicine, food, community, therapy, and spiritual encouragement). Benjamin was 17 and had just lost his mom to AIDS 2 weeks before. He not only was HIV positive but also had herpes covering half of his face making hearing and seeing very difficult. Christ's Hope had just taken him on 3 days earlier. During this visit, we were able to sit with him and his father, and see first hand the real change that was happening in his life. After just a few days of medicine, his face was beginning to heal and he was able to hear us talking. I couldn't help but notice his poor physical state-- he had the body of a 9 year old, and spent most of his days alone in the house, not having been to school for years due to caring for his mother and other health issues. As you can imagine this life disparity can lead many to end their lives. But that's what I love about CHI. They offer HOPE. Hope that you will heal, go to school, have community and friends, and most of all that you are love and cherished by God. I noticed Benjamin didn't say anything, but he stayed attentive, and every time I caught his eye I smiled. He had sweet eyes. As we were leaving, I was able to sit down next to him, hold his hand, and say, "Do you know what we're doing? We're biking 600 miles. For YOU. We will be thinking of you every second of the way. Because you are worth it." So that day after with the crazy mountains... that one was for him. It's a commitment that we're not going to quit, and we're not going away. No matter how hard it gets! God has not left me, so I won't leave him, and I won't give up on the cause. Just as these children are overcomers, so are we who do insane amounts of cycling in their honor. Also, after cresting the last terrible mountain and flying down a beautiful valley, it seemed appropriate to belt out, "ain't no mountain high enough, ain't no valley low enough, ain't no river wide enough, to keep me from getting to you!" 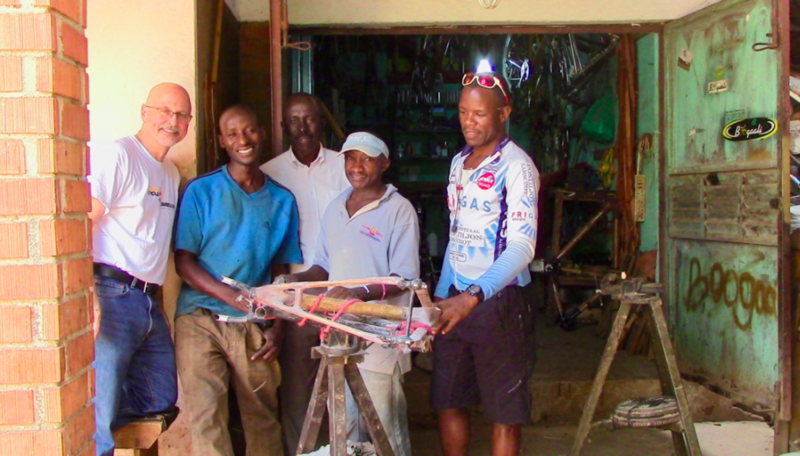 The next biking day was a wonderful, exhilarating speed demon downhill into Tanzania and the Serengeti. It was by far the fastest I've ever biked (someone said we must've hit between 50-60 miles an hour!). 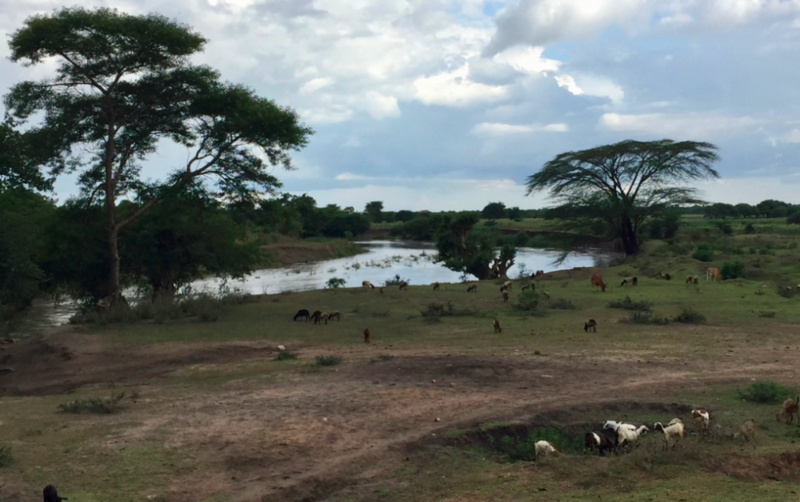 Then we continued our road trip to the Serengeti National Park and our rest day. We went on a safari and enjoyed the beauty of the hotel in the wilderness. It was a good and needed time of rest and enjoyment for everybody. And I can't say enough how wonderful this team is. Everyone is positive and loving. Truly we all are committed to standing in the gap for vulnerable children. And it's a beautiful thing! So please spread the word about this campaign-- I can personally see how every dollar is seriously changing lives, like Benjamin's. Every dollar will be matched up until June 30. Thanks!! 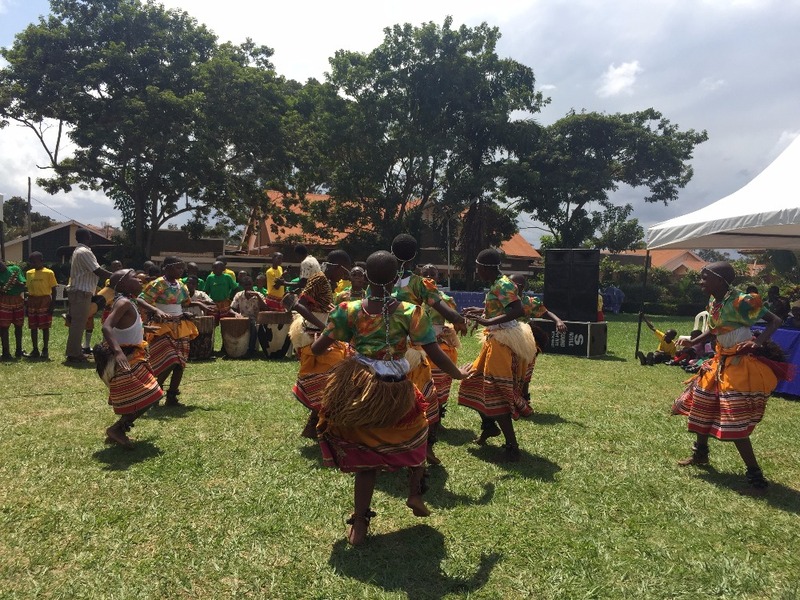 Words cannot express how inspiring and excellent and redemptive was the event and performances of the children at Christ's Hope in Kampala Uganda 3 days ago. We heard native songs and dances, testimonies, acting ... But the song "No Longer Slaves To Fear" topped them all. It was the most beautiful dance I've ever seen to one of the most moving of songs. I guess you'd have to know something about these children. There was a point in their life when they had no hope. One or both of their parents may have died from AIDS. They had no food to eat. They could not afford to go to school. Several had to become caretakers for their parents. Some may have lived in the streets. But more than just a material sense of poverty, it's a mental and emotional depth of poverty. To be lost and unloved is the most destructive of all poverties. To not be acknowledged as "child" and "mine" and "wanted" separates the heart from the body, and this little person cannot see past the pain and trauma, cannot become the person that God made them to be in this world. That's why this work is so important. 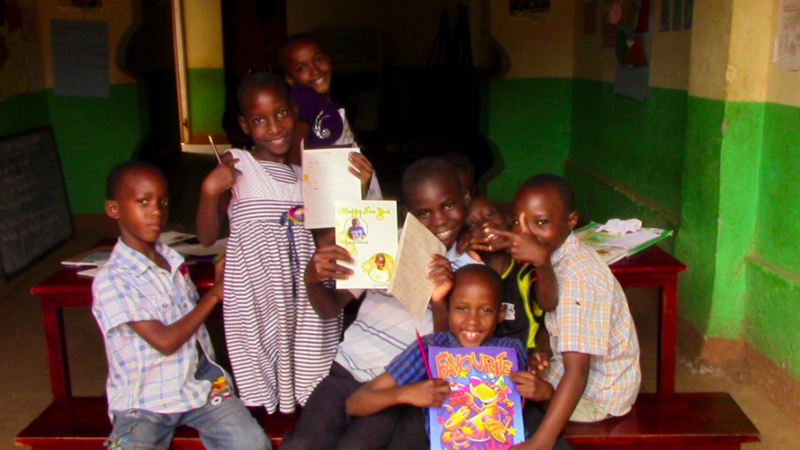 I saw how Christ's Hope is a partner in the children's lives that literally saves them. 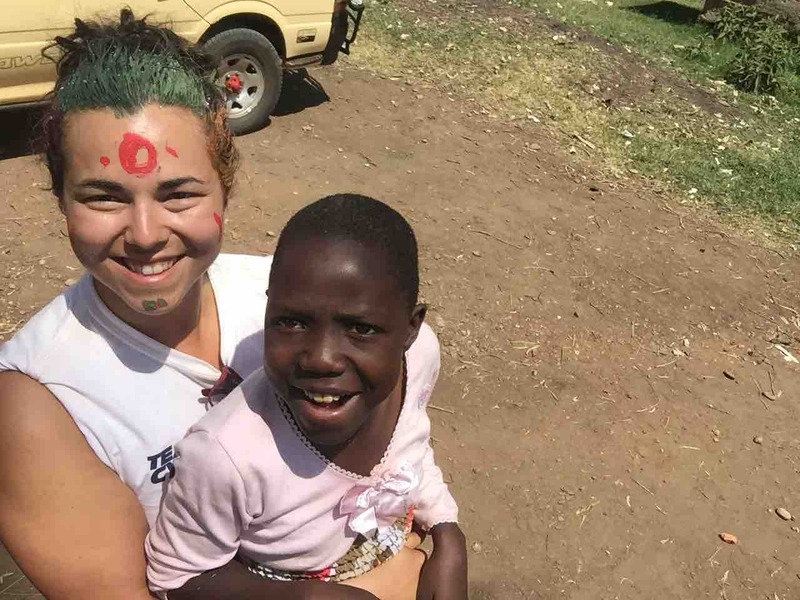 They are supported in a family's home so that medical bills are paid, school fees are paid, they get consistent meals, they have regular counseling and home visits, and they get to have fun and simply be kids again. 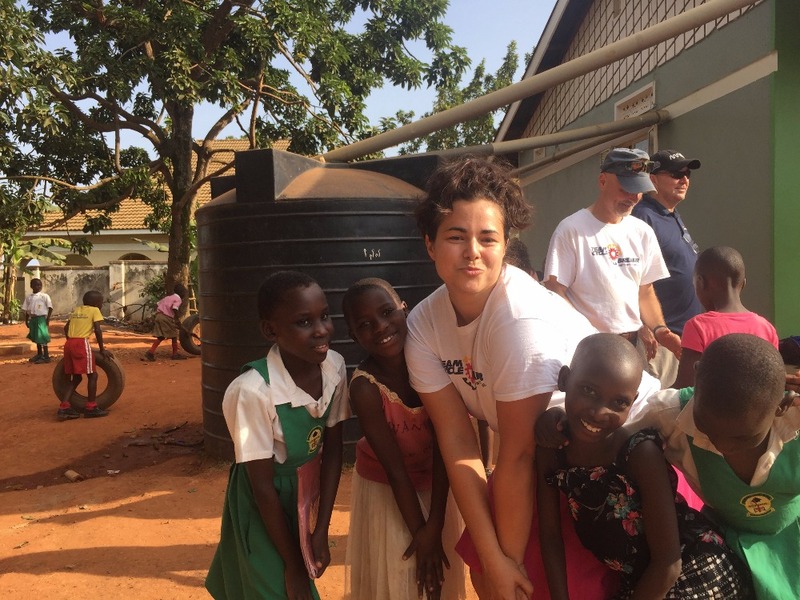 Stephan, the Uganda country leader for the organization, said to me with passion, you would not believe what a difference just 3 full meals a week does in the development of a child." So, when you watch this video, and watch it all the way through, you'll see more than just dancing, but expression of love and the fact that they know they truly are children of God, and are free and loved and wanted. I am a child of God! Yes I am a child of God!" Angela we are so please to hear about your adventure! We will be praying for you and everyone you are reaching this summer.